Since last couple months, Xiaomi Mi A1 has been a hype among smartphone enthusiasts when it comes to mid-range smartphones. The smartphone is frequently marketed as Xiaomi’s first smartphone powered by Google. And, I personally find it as a great move from both Xiaomi and Google. Because Xiaomi is getting the advantage of Google’s brand-value, and Google is getting a bigger market due to Xiaomi’s market reach so I am here to talk on features and specifications of Xiaomi Mi A1 smartphone. But you don’t care about this stuff, do you? So, let’s skip all this fuss, and without further ado, let’s start! I myself have used the Xiaomi Mi A1 for about two months. Therefore, this review is going to be as honest as it can be. There are many advantages and a few disadvantages of buying this phone. So, let’s start the review by looking at the phone optimistically on the basis of feature and specifications. Here are the benefits of buying this phone. When it comes to audio quality, Xiaomi’s Mi A1 has the best audio quality. With DIRAC HD sound and 10V smart power amplifier technology, the output of the speaker is pretty loud and clear which is best in this price range. Also, the audio quality through the 3.5 mm headphone jack is premium at this mid-range price. Due to the dual-camera setup of Mi A1; portrait mode photos taken in natural lighting conditions are excellent. In fact, few of my friends mistaken the A1’s clicked pictures with DSLR photos. Also, the 2x optical zoom provided by Xiaomi is very helpful while clicking photographs from a distance. Because of Android One, Mi A1 powered by Google will get faster updates. In fact, recently Android Oreo has been availed for Mi A1; and with the given frequency of update, the Android P is also expected for Mi A1. Additionally, the user gets monthly security patch update directly from Google. Xiaomi has kept the IR blaster in Mi A1 like most of its phones. So, one can control TV, AC or any other remotely accessible device using Mi Remote. The design of the phone is pretty advanced; similar to iPhone & or one plus 5. Also, the body of the phone is metallic unlike the 22,000 INR Vivo V7 plus we reviewed yesterday. 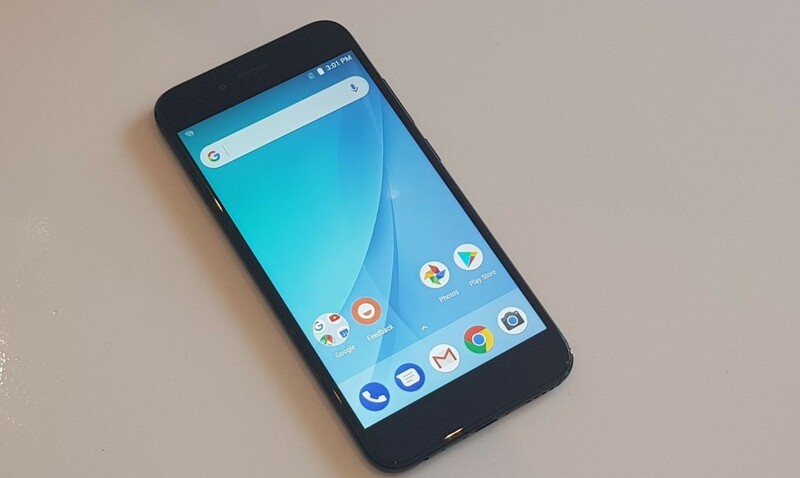 Phone, Xiaomi Mi A1 Price in India is 13,999 INR which is averagely low given the quality. The above benefits are individualistic for Mi A1 as a budget smartphone. Here are some perks of Mi A1 which can also be found in the same price range. The Snapdragon 625 chipset is pretty fast. I have played numerous heavy games like Asphalt 8 and Asphalt extreme, and I have never experienced a minor lag. Additionally, I opened a total of 100 apps simultaneously and then also no noticeable slowdowns were there. The RAM management of the phone is pretty good. It can hold several app-data in the memory at a time. The front camera is an average one; nothing great about it. The battery life is moderately decent. While using a 4G network, surfing online, and watching movies offline; the battery typically drains from 100 to 20 in around 6 hours. Though the camera quality in natural lighting conditions is high; the camera fails to give good results in low lighting circumstances. Rarely, minor glitches are observed while regular use of Mi A1. But, as the phone is getting updates every month, the glitches can be overlooked because they keep getting fixed. Wrapping up, I would like to say that Xiaomi Mi A1 is a perfect value for money phone. If you don’t take a lot of pictures in low lighting condition and are looking for a budget phone; Mi A1 is the phone you go with. Here I am sharing with you a good news or may be bad news is that Xiaomi Redmi Note 5 is coming in first quarter of 2018..
For the latest tech news and reviews, follow itsMyReviews on Twitter, Facebook, and subscribe to our YouTube channel. The shortest possible Vivo V7 plus review is: Not worth it! We(itsMyReviews.com) are the team of passionate technology bloggers and influencers who are providing the right information for the right product for our visitors. Visit here for more information. itsMyReviews .com is a participant in the Amazon Services LLC Associates Program, an affiliate advertising program designed to provide a means for sites to earn advertising fees by advertising and linking to Amazon .com. Additionally, itsMyReviews participates in various other affiliate programs, and we sometimes get a commission through purchases made through our links.